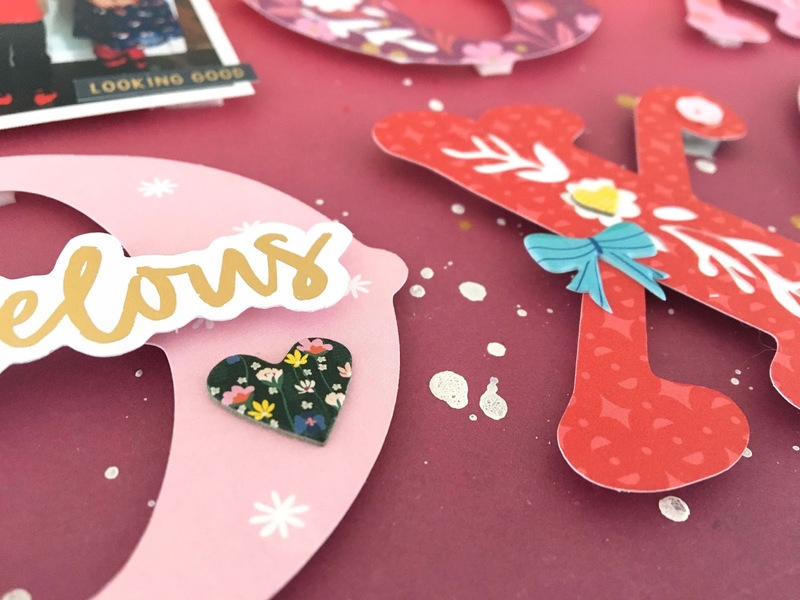 I love this take on a grid design by design team member Audrey Yeager using my XOXOXOXOX cut file to make a super adorable Valentine's Day-themed page! 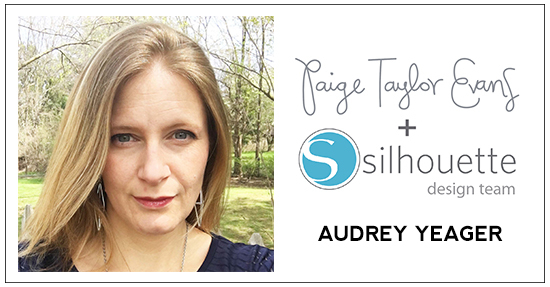 Hey everybody, Audrey here today and I'm excited to share my newest layout! I pulled lots of reds, pinks, and purples from four of Paige's collections and created a fun background design in a grid. I wanted to bring in some white, so I backed the floral motif on each XOXOXOXOX cut file letter with white cardstock. To decorate I added some simple and small embellishments here and there along with some Heidi Swapp Gold Color Shine, white acrylic paint, and pink watercolor splatters on the background. I love how this one came out! So much love for this layout!!! Loveeeee this! 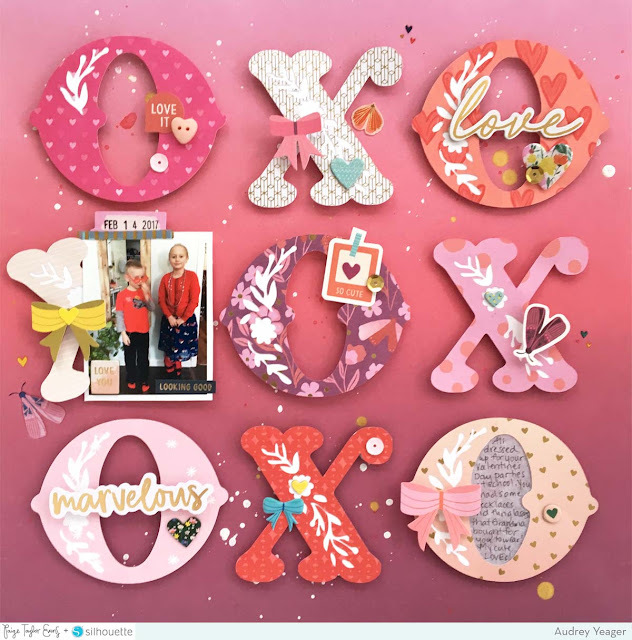 LOVING those x's and o's and LOVING the colors!! GORGEOUS!!!!!!!!!! !